Wash and dry the Bhindi/okra. Cut the crown and tail of the Bhindi/Okra. Slit the Bhindi/Okra length wise from one side and keep it aside. Take all the dry ingredients and mix them well and check the salt and chilli. You may add more of chilli or salt if you may need. 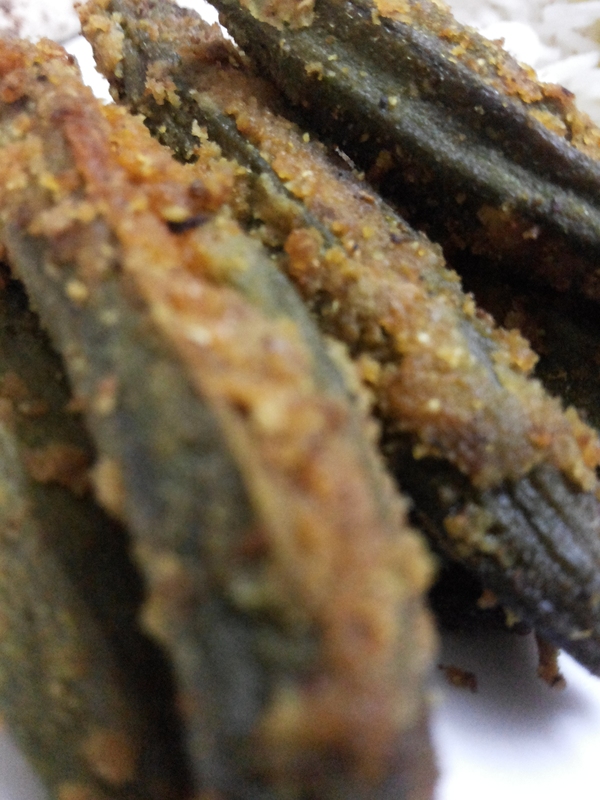 Open the slit side of the Bhindi/Okra gently and fill it with the dry masala. Take a non-stick pan, pour the oil and ensure that you spread the oil to every corner of the pan. Place the Bhindi one by one on the hot pan and shallow fry. Do NOT cover the pan with the lid, it has to be cooked in an open pan on low flame. Turn the side when you feel one side is cooked and browned a little. Can be eaten with Dal and Rice or Roti.